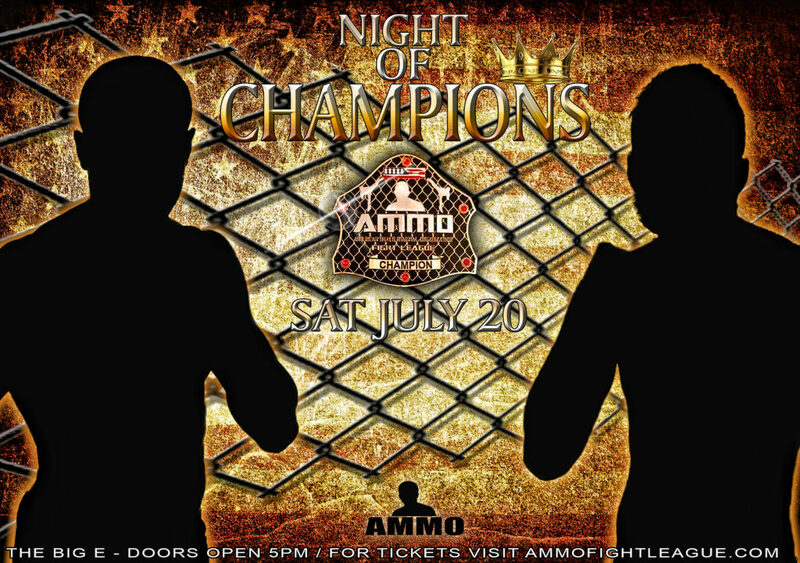 Saturday, July 20th, 2019, AMMO Fight League returns to the Eastern States Exposition at the Young Building Located in West Springfield Massachusetts. This show is dubbed “Night of Champions” This will be an amateur and professional mixed martial arts fight card with some of the best MMA fighters that New England can offer. We are here to provide a platform for the fighters to shine and showcase their skills and to provide the best possible combat show to all the MMA fans in New England and beyond. located at 161 Bridge st. East Windsor, Ct. Call to reserve your room now at 860-623-9411 and just mention that you are attending the AMMO MIXED MARTIAL ART EVENT. and/or use Code: AMMO $60 Plus Tax Per Room (Including Hot breakfast) Can’t find a better rate than those prices! Doors open at 5pm and fights start at 6pm. 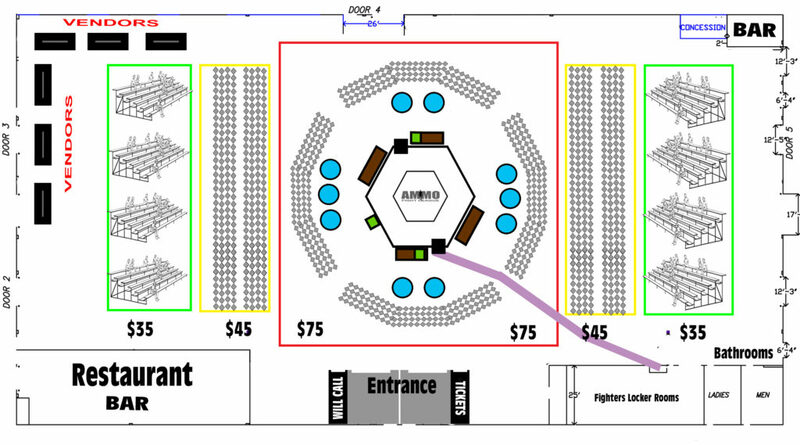 Pick up your ticket's at the "Will Call" table. ** All ticket sales are final. No refunds or returns.